All related to facade engineering, building envelopes, glass engineering, curved glass, facade trends, materials, books and curtain walling industry. Furthermore, my articles published in journals of architecture (labelled as MyArticles) and list of useful links. An interesting physical phenomenon occurred a few months ago. 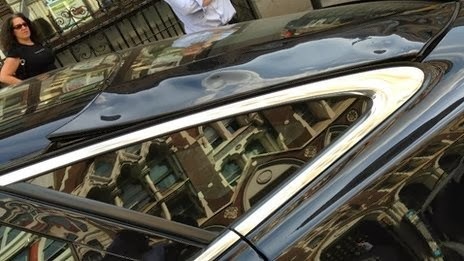 The façade of a skyscraper under construction on 20 Fenchurch Street in Central London appeared to have cause some damages to a car parked on a nearby street. 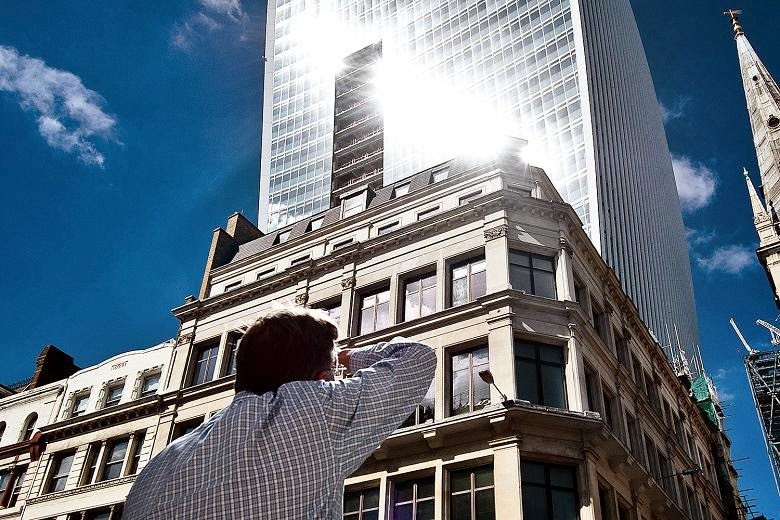 The façade of the “Walkie Talkie”, as the building is dubbed due to its particular shape, appears able to reflect enough solar radiation able to melt the wing mirror and the badge of a car. As a temporary measure, a screen has been erected to prevent further damages until this is resolved. You may find further information about the project in this link. 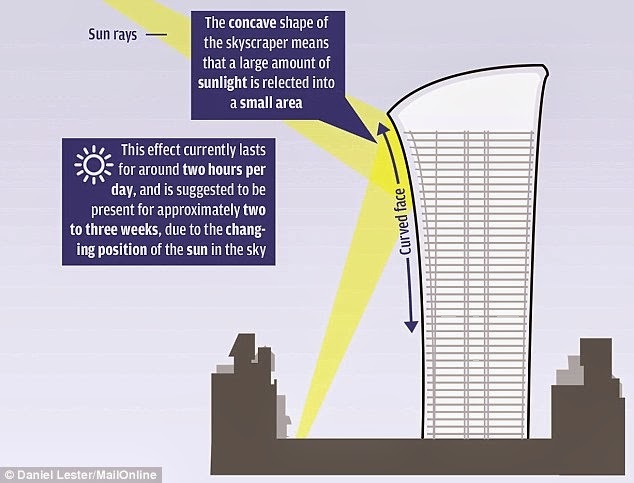 The following video of The Telegraph shows an interesting point of view of the effects observed. I am an Industrial Engineer, working as a Façade Consultant. I have taken part in interesting projects such as Hotel Me in Barcelona, Gas Natural Tower in Barcelona, Instituto Cervantes of New York, as well as projects in the Middle East. Author of technical articles published in journals of architecture. Teacher at Master of Façade Engineering at Universidad del País Vasco. Member of the Society of Façade Engineering. These are simply my personal views.